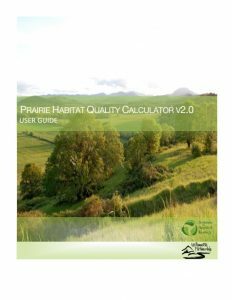 This guide provides information on how to use the Prairie Habitat Quality Calculator (version 2.0). 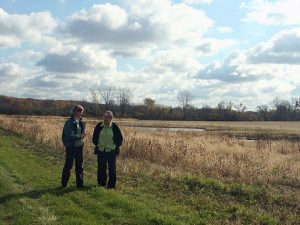 The calculator includes tools for assessing quality of upland prairie habitat with modules for at-risk plants and Fender’s blue butterfly. 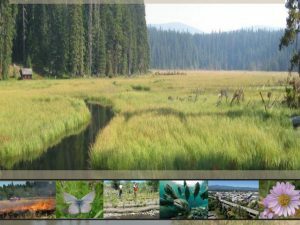 The Prairie Habitat Quality Calculator was developed to rapidly assess the quality of upland prairie habitat, and uses U.S. 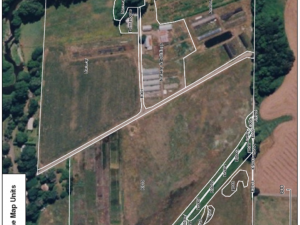 Fish and Wildlife Service species recovery criteria to describe the habitat suitability and conservation value of sites for the endangered Fender’s blue butterfly and at-risk upland prairie plants. The scores generated from the calculator and modules can be used to evaluate a site’s potential contribution to endangered species recovery (down-listing or de-listing), prioritize sites for acquisition and habitat enhancement, describe impact and mitigation site quality, and assist in determining mitigation ratios. 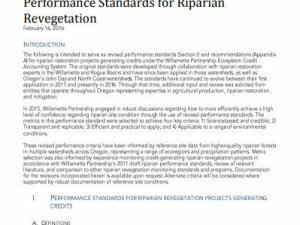 If used in combination with more intensive population monitoring protocols, the calculator and modules may also be applied to generate baselines for Fish and Wildlife Service Safe Harbor Agreements and upland prairie ecosystem debits and credits for mitigation banking.